Collamat AG - We are Swiss global, labeling specialists. We are Swiss global, labelling specialists. Our products are made for industrial applications where flexibility, robustness, and easy handling are a must. 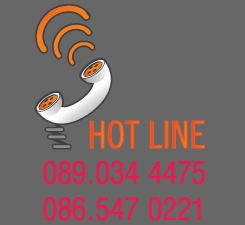 The products are modular, reliable, and user friendly. Through our value adding distributor network we secure you the best possible support on your local market. We welcome you to Collamat! Collamat supplies industrial sectors like pharma, food & beverage, household chemicals, cosmetics, and packaging all over the world with modular labelling equipment that is easily integrated into complete systems. Collamat products are engineered and produced in Switzerland. 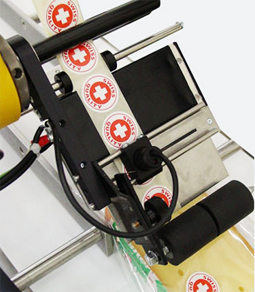 Our product range contains the well known Collamat label applicator with speed ranking from 15 to 100 m/min. It includes a special product for the inline finishing industry where labels can be applied with up to 300 m/min and up to 120,000 labels per hour. 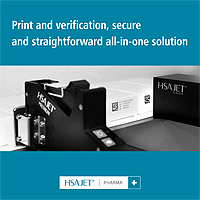 We also have a full range of print and apply units including the new Collamat Linerfree Systems, a cross web labelling system suited for integration on thermo forming machines, and a verifier solution for verification of bar codes.